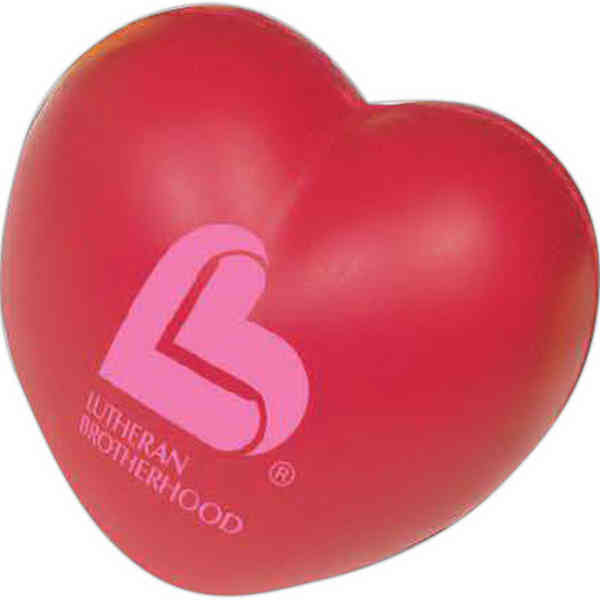 Help attendees unwind at your next promotional event with these heart shaped stress balls. These anxiety relievers are manufactured by hand, so each one is unique. Keep in mind that because of the nature of these stress products, some distortion or imprint break-up may occur. Customize these stress reducers with your company logo for added visual flair. Not intended for children under the age of 12. Size: 2 3/4 " x 2 3/4 " x 1 3/4 "